Autumn harvest has lots to offer! 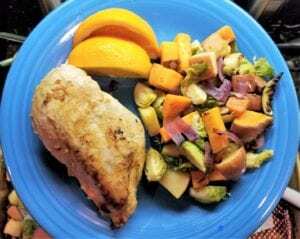 Try this easy fruit and veg sheet-pan medley packed full of flavor, vitamins, minerals, disease fighting phytochemicals, gut friendly fiber and prebiotics! 2. Evenly chop sweet potato, brussels sprouts, apple and red onion. 3. 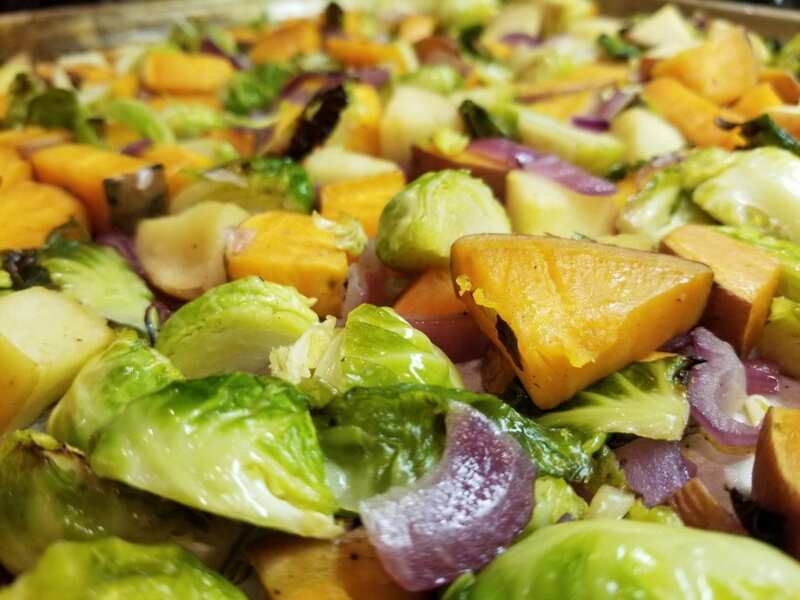 On a sheet pan, toss sweet potato, brussels sprouts, apple and red onion with 1.5 tbsp extra virgin olive oil, salt and pepper to taste. 4. Roast for 10 minutes, stir, and roast for an additional 10 minutes or until tender as desired. I served this with roasted chicken and fresh orange slices.